We are raising investment to expand! We want to treble the capacity of our brewery and open our very first taproom, two minutes from our brewery and on the ‘five points’ junction from which we take our name. Over the past five years, we’ve grown from 2 staff to a team of 30 and built a loyal and thirsty fanbase across London and the UK. But we’ve now reached capacity at our Hackney brewery and we can’t brew enough beer to meet demand. In late 2016, we made the decision to brew some of our beer at a family-owned brewery in Belgium to keep up with our growing demand. 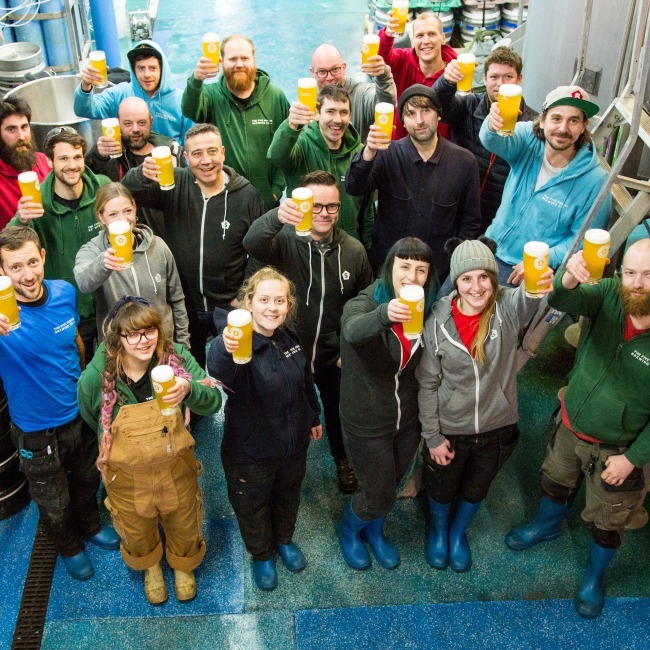 We want to bring all our production back here to Hackney, and we are turning to the community to enable us to continue to expand, treble the capacity of our brewery, and open our first taproom, The Pembury Tavern. You can buy shares in The Five Points from as little as £10, with no maximum limit, and also earn rewards including free beer and discounts. You can check out our rewards on our crowdfunding page, here. To register your interest and for our crowdfunding updates, please enter your details in the sign-up form below. If you have a specific question about investing in the Five Points that we don’t address in our FAQs, please get in touch with us at crowdfunding@fivepointsbrewing.co.uk. If you let us know the amount you might be interested in investing, we can tailor a response to your circumstances regarding shares and rewards. Help us Raise a Pint for the Five Points. Be A Five Points Funder!